From Siri to Alexa to Google Now, we are technically living in the age of virtual assistants. No wonder they have made our lives easier. Be it getting live updates about events, weather forecast, or playing our favorite music while we’re getting ready for wok—everything is on our tips! As majority of users own Android phones, Google Assistant gained immense popularity within no time. But not everyone is a big fan! If you dislike Google Assistant way too much then here are the 2 quick ways to disable it from your Smartphone. So, let’s explore a few ways to disable Google Assistant one by one. Navigate to a screen where you’d normally use ‘Now on Tap’, then long-press the home button. Once you do this, Google Assistant will appear on the screen and then simply say “What’s on my Screen” or hit the button at the bottom. There you have it! Now On functionality right within Google Assistant. Press the home button to set it as your default launcher. Head on to Nova’s Settings. Tap on “Home Button” and select “Google Now”. The long press option will now launch Google Assistant but if you press the home button while being on home screen it’ll launch Google Now. This is one of the best approaches to use if you equally love Google Now and Google Assistant. 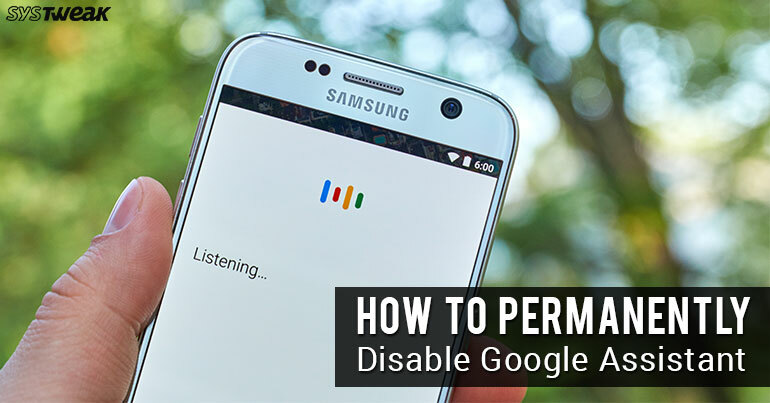 If you didn’t like the above-mentioned approach and want to get rid of Google Assistant permanently then here’s what you need to do. So, if you’re okay removing Google Assistant permanently from your device let’s proceed further. Long Press the home button to launch Google Assistant. Tap the tiny blue colored icon on the right to open main screen on Google Assistant. Tap the three dots icon and then select “Settings”. Under the Devices section, pick your device (the phone which you’re currently using). In your device window simply toggle the “Google Assistant” option to disable it from your device. Just keep in mind, toggling this feature will completely disable all Google Assistant functionality from your Smartphone. Your Google Assistant will then be ready to help you again! So, folks, here was a quick summary that’ll help you in enabling/disabling Google Assistant from your Android Smartphone. For any other queries or suggestions feel free to hit the comment box.